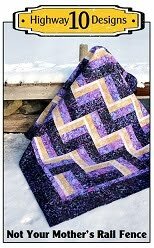 This is Iris’s Windmills at Night quilt and the pattern is by Suzy Myers which you can purchase here. Iris made this quilt for a graduation gift and the school colours are black, white and red. The pantograph is Fascination, thread is red So Fine on top and red Bottom Line on the back, and the batting is Quilters Dream Blend. This is Marlene’s Sunflower Gatherings Quilt and it is a pattern by Primitive Gatherings, you can get the pattern or kit here. Marlene did all the beautiful wool applique by hand using a buttonhole stitch and did a fantastic job with her piecing as well. She changed the applique design a bit in the outer border and said she left more room for me to add quilting details. I quilted feathers and pebbles in the back ground fabrics and CC’d all the pieced squares. It was pretty intense quilting for me but I don’t mind the challenge once in awhile. I used a beige 100wt Invisifil thread on this quilt as I find that is the best thread to use for dense quilting designs. The batting is Quilters Dream Blend batting. This is Sandra’s Modern Grey and White Neutrals quilt and there is a tutorial on the Diary of a Quilters blog here. I actually was Sandra’s personal shopper for this quilt as I picked out the fabrics for her when I was down in Swan River teaching at Fabriculous. 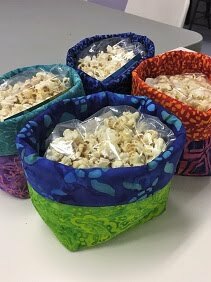 A lot of the fabrics are Zen Chic fabrics from the Modern Background Essentials line but we through in a few other fabrics to give it more variety. 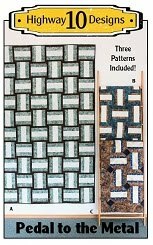 The HST blocks are squared up to 7 1/2” and Sandra made her layout a bit bigger from the tutorial instructions by adding more blocks. She asked for a swirly panto so I picked Bora Bora. I used white So Fine thread and Quitlers Dream Blend batting. She made this quilt for a wedding gift for a young couple that has decorated their house in all grey and neutrals so it should fit in beautifully! Well our weather has changed drastically in the last week from freezing temperature and snow to sunny 27’c today! Time to get out the kayaks! This is Rae’s City Slicker quilt and she used Grunge and Black Tie Affair Moda fabrics for her quilt. I quilted one very similar a few weeks ago, which you can see here, and it was made with the Little Black Dress fabric collection. I used Flourish for the pantograph, light beige So Fine thread and Quilters Dream Blend batting. She brought a beautiful light beige Grunge backing as well! The snow is gone and I hope that is the last I see of it until the fall! Today is suppose to be a beautiful 22’c and tomorrow 25’c! Happy Dance!! If you follow me on Instagram you have seen all my snow pictures from the last 48 hours. This are not pictures I took last month but from yesterday and this morning! While many of you are enjoying your gardens, we are still ‘enjoying’ our spring snowfalls. 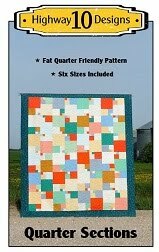 This is Rae’s Summer in the Park quilt and you can find the MSQC YouTube video on how to make it here. I thought I would be taking pictures of it by the sparkling lake but I actually love how it looks in the snow! Rae used all batik fabrics for this quilt and I picked Wave on Wave for the pantograph. I used Quilters Dream Blend batting and a light blue So Fine thread. I made this when I got home yesterday after a 8 hour drive to take my son to a 10 minute orthodontist appointment! The joys of living up north! When life gives you snow you make a snowman! I had my son hold the quilt before he left for school, poor snowman is already falling over! Melt snow MELT!! This is Yvonne’s Urban Birthday quilt and the pattern is by Sew Kind of Wonderful. 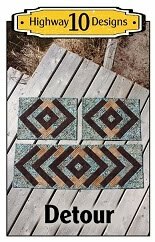 I really enjoy quilting these quilts as they is always room to play with quilting designs! I SID around the pod shapes and then did a 3/4” echo around that and filled in with pebbles. I did a simple flowing feather in the print fabrics and then a feather motif in the center of the backgrounds. Batting is Quilters Dream Blend and thread is So Fine off white in the background and bright yellow on the print fabrics. As you can see it is very smokey here today. I thought it might be high altitude smoke from the Fort McMurray area fires but I have since heard that it is from fires in Cumberland House,SK. If you have not heard about the huge Fort Mac fire, the city of Fort McMurray Alberta has been evacuated ( over 90,000 people) and many homes and businesses have been lost to the fire. It is not surprising that the quilting community in Canada has already create a network of places to drop off quilts that will be given the family affected by this disaster. Here are a few links to these groups. Quilts for Fort McMurray and Erie Quilt Art. I have three quilts I am sending their way and know our local guild and quilters will be donated as well. 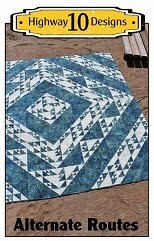 This is Adell’s Wonky Stars quilt and there is a tutorial by Missiour Quilt Company on how to make it which you can find here. Adell made hers 100”x106” which is larger than the tutorial size. I chose Bora Bora for the pantograph to give the allusion of a windy night sky. I used a variageated Lava thread ( dark to light blue) and Adell brought Warm and Natural batting.